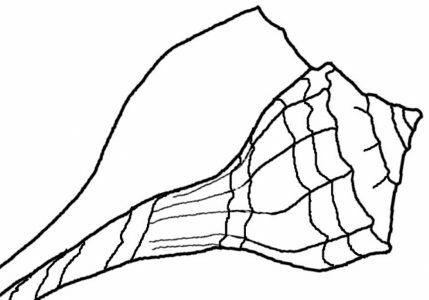 Is It Okay To Purchase Shells At Shops? 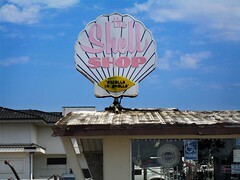 If you are vacationing with the family near the beach and come across a “Shell Shop”, the kids start begging you to take them in and buy some souvenirs. Do you stop? Is it okay to purchase shells at a shop? After all, where do they get all those shells? Whether you would say “yes” or “no” to this question, you might be surprised to find that the answer is not clear cut. I have purchased seashells – my conch shells and pink murex along with my sea biscuit sand dollar were all bought some place in Florida many years ago. In fact I recently needed a sea star for photographing to create some wedding stationary and had to pick one up at the local craft store. Years ago, when I lived in Florida I didn’t really give it much thought. Seashells were plentiful and I guess I took them for granted. We’d spend a few hours at the beach and the kids would bring a collection home and sometimes we didn’t realize until then that something was living in them. Now I know better. We’d go on vacation and pass lots of “shell shops” and occasionally stop to pick up a souvenir, since we could never seem to find such beautiful shells on our own. So am I helping to contribute to the killing of innocent sea life by purchasing shells? Truthfully, now I wouldn’t purchase from a shop, unless I needed something (like the sea star) for my work. As you’ll read in the “answer” link below, some people depend on shelling for their livelihood and others are just greedy and uncaring about ecology. How are we to know who is who? A similar question was posed to the San Diego Natural History Museum and you can read their answer here. Previous Post How Is A Seashell Made?